Maritime law, commonly referred to admiralty law, is a distinct set of legal rules that governs activities, which occur on navigable waters. Maritime actives also involve some aspect of maritime commerce, such as overseas shipping or offshore drilling. Commerce also includes the operation and maintenance of recreational vessels. Employment on maritime vessels can mean harsh working conditions, dangerous equipment, and personal injury accidents. Maritime workers injured on the job are not always covered by the same worker compensation laws that provide financial recover to workers in the United States. Protection for seaman falls to a series of federal acts designed shield workers from negligent owner-operators, and offer compensation for medical bills, lost wages, housing, and other expenses incurred after a maritime injury. The Jones Act, created by the United States Congress in 1920, formalized specific protection and legal recourse for injured seamen, allowing them to sue their employer. If a seaman’s injury was caused by the negligence of his or her employer or fellow employees, then a seaman can recover damages such as past wages, loss of future earning capacity, medical expenses, pain and suffering, disfigurement and loss of enjoyment of life. If the seaman died as a result of the negligence of his or her employer or fellow employees, then the seaman’s personal representative can recover for pecuniary losses and pain and suffering. If you have been injured while working on a maritime vessel in navigation, contact the Houston maritime injury attorneys at Terry & Thweatt. The no recovery, no fee team of Terry & Thweatt fight for the financial compensation of injured Houston maritime workers. Any seaman that becomes sick or injured during his or her employment, regardless of any fault on the part of the owner or operator of the vessel, is entitled to maintenance, cure and unearned wages. These remedies are based on the premise that a seaman’s employer has the obligation to provide suitable quarters, food and medical care to the seaman while he or she is working in the service of the vessel. Maintenance is the seaman’s reasonable expenses for room and board while onshore until the seaman is considered fit for duty or maximum medical improvement has been reached. Cure is the reasonable medical expenses or room and board while receiving medical treatment onshore. Unearned wages are those wages that the seaman would have received had the seaman not become injured or sick. The vessel and its operator owe the duty to provide a seaworthy vessel to the seaman assigned to the vessel. If the vessel owner and its operator have breached their duty to provide a seaworthy vessel, they can be held liable to the seaman for loss of income, medical expenses, pain and suffering as well as compensation for disability. To be seaworthy, the ship, including its crew and equipment, must be reasonably safe to use and to perform its assigned tasks. Conditions that make a vessel unseaworthy can include an inadequate or insufficient crew, incompetent or lack of training, misuse of equipment, unsafe method of work and inadequate safety equipment. The Death on the High Seas Act (DOHSA) applies to all deaths of any individual, including maritime workers, caused by a wrongful act that occurred on the high seas, including airplane and helicopter crashes. Only the deceased’s personal representative can bring a lawsuit under the act. DOHSA makes it easier to recover damages for the loss of support a loved one would have provided, offering protection for families when a maritime worker dies as the result of an injury in international waters. For those who work in the maritime industry but don’t meet the definition of seamen as defined in the Jones Act, the Longshore & Harbor Workers’ Compensation Act comes into play. The LHWCA covers workers involved in maritime employment in whole or in part upon navigable waters of the United States, including piers, docks, wharves, dry-docks, terminals or other areas used to load, unload, repair or build a vessel. If you have been injured in maritime employment, the Houston maritime injury attorneys at Terry & Thweatt are your first choice for recovering damages and protecting your rights. 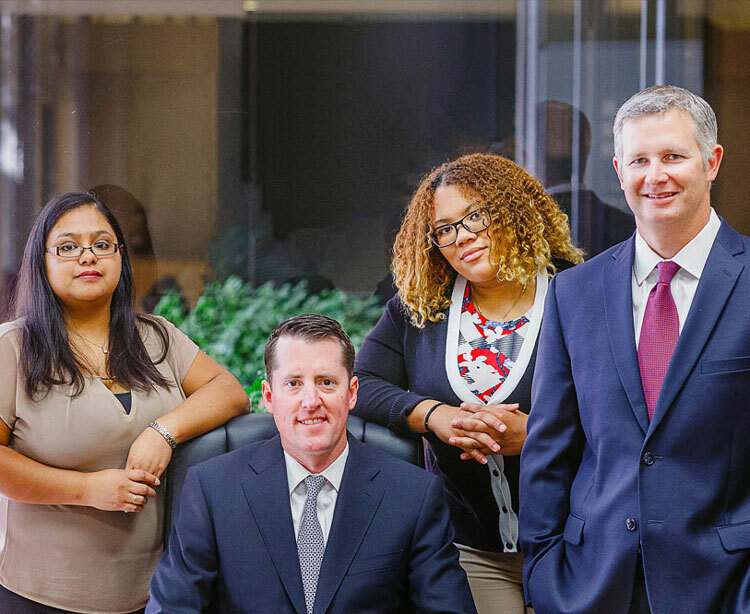 Our attorney team is experienced in a variety of personal injury claims with a successful track record of financial recovery for Houston maritime workers.